This trimester 6th grade students in Dr. Glen Emerson’s classes had opportunities to demonstrate their understanding of perimeter and area by designing and building treehouses in MinecraftEDU. MinecraftEDU is a special version of Minecraft software especially designed for teachers and schools. Teachers are able to create lessons and projects for students to virtually complete using a local MinecraftEDU server, which is only accessible by students in the class. Teachers can limit or restrict the building and interaction options available for students as appropriate for the lesson. Students were not only able to practice and demonstrate their math, design, and 3D visualization skills in this project, but were also able to practice problem solving as well as good digital citizenship. 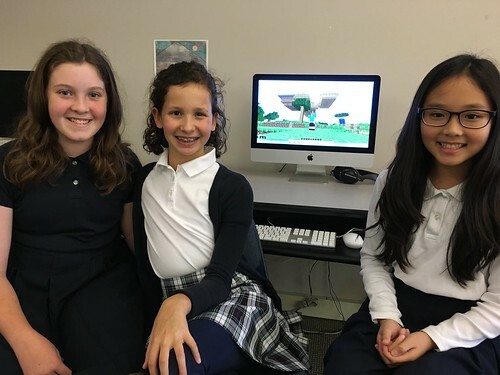 After completing a “Minecraft Treehouse Challenge” project taught by Dr. Emerson, students gave presentations to their classmates and provided virtual, narrated tours of the treehouses and other structures which they built. This six minute video features interviews with sixth graders Kyuna, Lauryn, and Rachel. They provide a narrated tour of their treehouse, corral, and other structures they built collaboratively for this project. 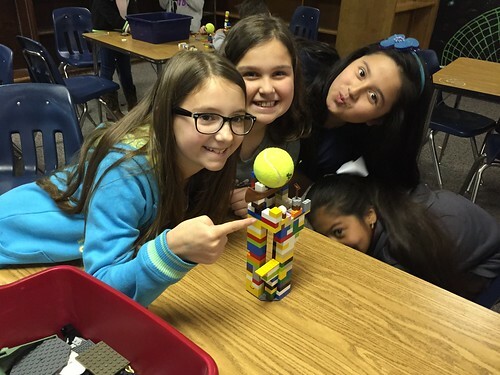 Cross-posted from the Casady Learning Showcase website. Casady School is located in Oklahoma City. I encourage you to learn more about this site and project by reading the About page and the Policies and Forms page. Also please follow @OklaEdShowcase on Twitter. Approved posts to our site are automatically shared on our Twitter channel with the #OklaEd hashtag. Posts on the OklaEd Learning Showcase do NOT have to include videos, but they certainly can! At a minimum, posts should include several sentences about student work and at least one accompanying photo. Include links to student work if possible. To see a good example of what a Learning Showcase post can be, check out the May 2013 entry on the Yukon Public Schools’ Learning Showcase website, “3rd Graders Research Animals with 4 iPads, AudioBoo and PebbleGo.” The 5 minute video included on the post was shot and edited using iMovie on an iPad. Please share this website and these posts with others, using social media, email, and other means. This project is all about AMPLIFYING student work! We need your help to do this. Please also consider becoming a contributor to the OklaEd Learning Showcase. If you have questions about the site, please contact me using this electronic form or via Twitter @wfryer.